MathConcept believe that any child can be successful in math. We aim to increase children’s confidence on math and overall school performance by building on their fundamental mathematical concepts while seeding an interest on the subject. We provide a wide range of math courses, satisfying the needs of both local and international school students in Hong Kong covering curriculums from kindergarten to various high school levels. MathConcept was first founded in Olympian City of Hong Kong in May 2010. We currently have 12 learning centers located at different districts, with more than 5,000 students in the region. Over the years, the MathConcept approach has helped many students to understand and appreciate math. All MathConcept tutors are professionally trained to implement the learning plan and guide each student to their way of mastering each concept. We ensure that our tutors are familiar with our approach and have the ability to deliver complex math concepts in a language that is relatable by kids. Let go of all the memorization and traditional repetitive methods, we build math knowledge through introducing and connecting different math concepts in a way that makes sense. 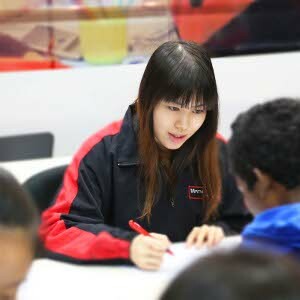 To support our growth in Hong Kong, we are inviting talents in teaching maths to join our team. Responsible for the daily teaching by using the MathConcept approach, improving and consolidating teaching materials, and enhancing teaching quality. Communicate with parents proactively about students’ learning progress. Basic salary with attractive monthly Bonus: the salary averaged $13,500 for fresh graduate of 2013 which is 15% higher than the average in the market. It will be adjusted once a year and is guaranteed higher than the inflation rate. Good prospect in education field: All Center’s partners are coming from Full-Time tutors. Tutors are offered opportunities to be our partners upon 2 years of satisfactory performance.